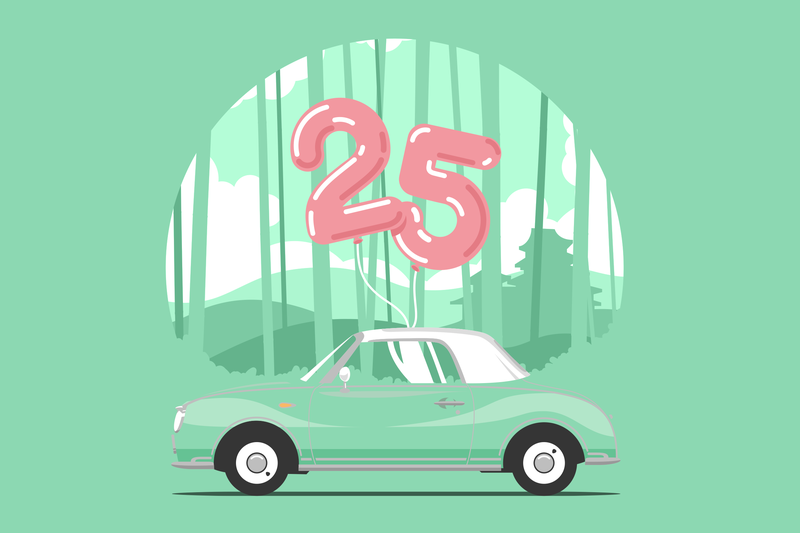 The Figaro Owners Club has announced that we’ll be the key sponsor at the 25th birthday summer celebrations of the Figaro. The Figaro made its debut at the 1989 Tokyo Motor Show. Designed by Shoji Takahashi, the car was manufactured by Nissan at the Pike Factory (for Nissan’s more niche projects), but sold without the Nissan name. Built on the Micra chassis and engine, it had an added turbo, leather seats, air conditioning, an open roof and most importantly; heaps of retro charm. The “Big Party Weekend” will take place in a giant garden marquee hosted at Wroxall Abbey Estate in the West Midlands. Running from June 4th – 5th, with more than two hundred Figaro cars (and even more Figaro fanatics!) set to be in attendance, it’s sure to be a special weekend. We’ll be sponsoring a glittering gala dinner dance, Figaro Fair and Car Rally over the two-days of celebrations. Entertainment will be provided by the talented and enthusiastic ‘The Fiction’, a 4-piece function band with a varied repertoire of fun and upbeat songs from the 50s and 60s in keeping with the car’s style right through to recent chart hits. Sunday will comprise of a vintage themed Figaro Fair, treasure hunts, a rally drive out and a whole host of other activities. The event is set to be a magnificent spectacle for both enthusiasts and the general public. If you’re interested in the event then you’ll be pleased to know entrance is still open for cars and visitors; bookings can be made at the Figaro Owners’ Club website.